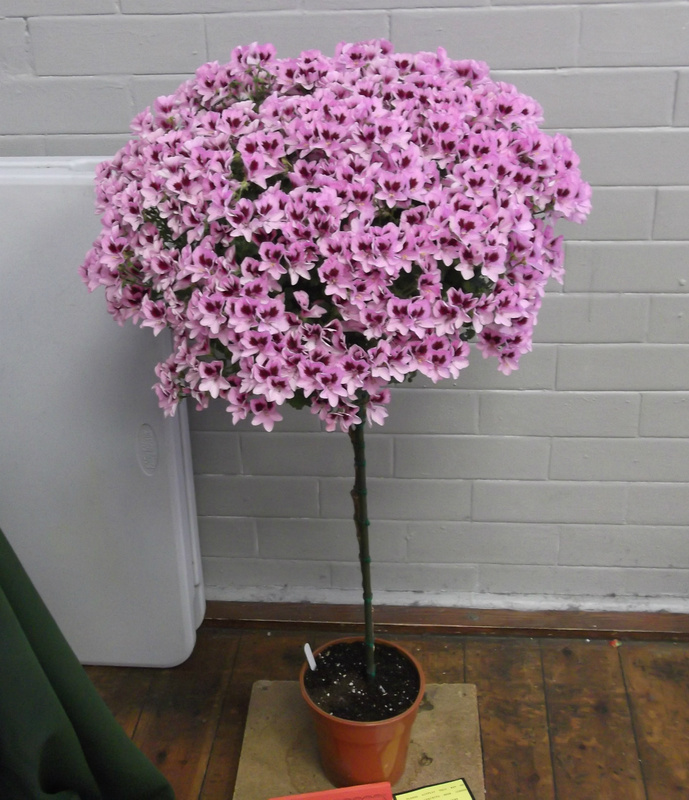 My two year old plant of angel Catford Belle winning the standard class at the Yorkshire Pelargonium Society Show 2015. Taking into account that it travelled 230 miles in the back of the van, enduring countless potholes, rumble strips and railway crossings it looked magnificent (to me anyway lol). My plant of regal Rosmaroy that won 'Best in Show' at the East Sussex Pelargonium & Fuchsia Society Show in 2015. 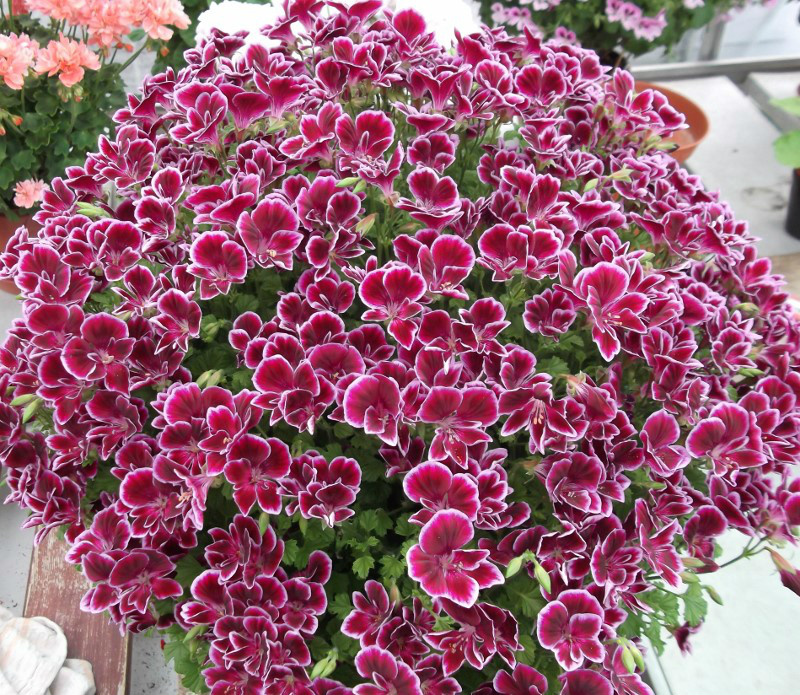 My plant of angel Berkswell Fiesta which won 'Best in Show' at the Yorkshire Pelargonium & Geranium Society Show 2015. This was the same plant that won last year but in a 6" pot this time. 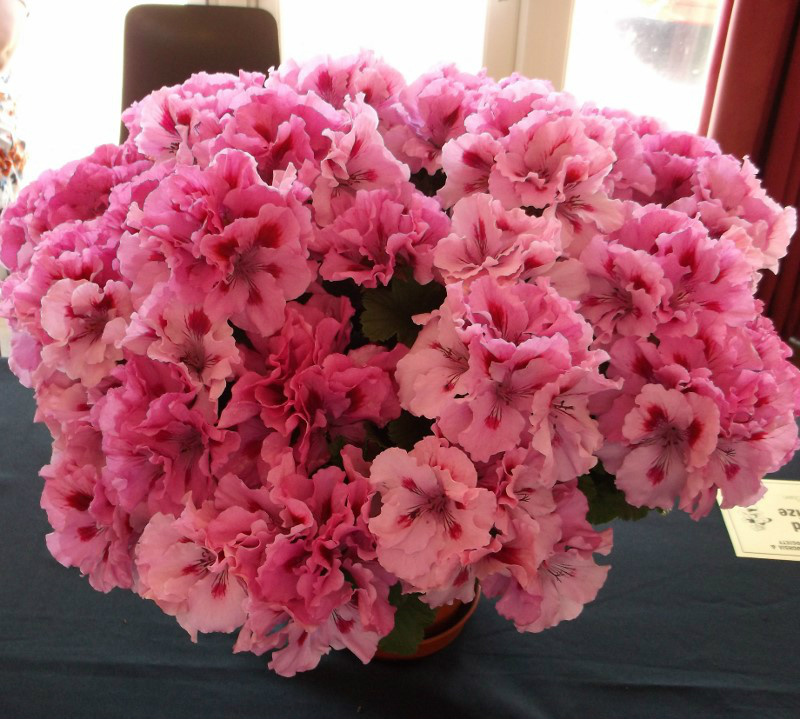 My plant of Berkswell Fiesta that won 'Best in Show' at the Yorkshire Pelargonium & Geranium Society show 2014. 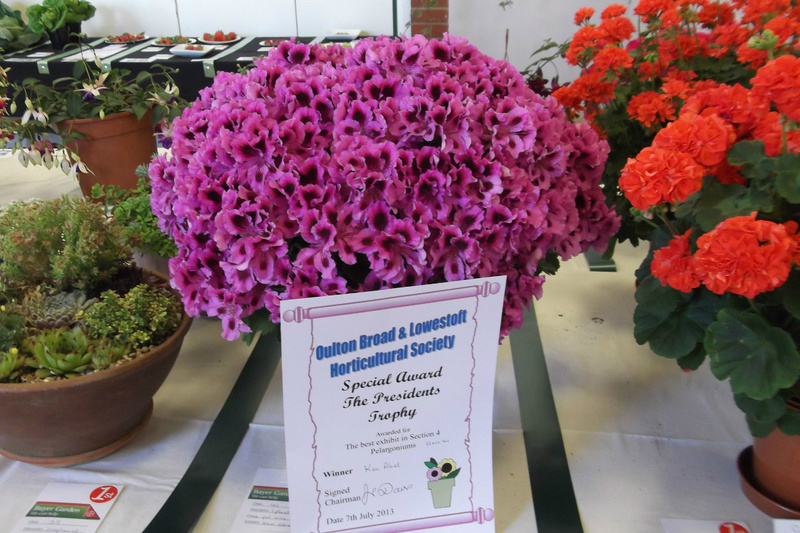 This plant of regal Penny Dixon was too late for the Yorkshire Show in 2013. The weather sure messed up my stopping dates this year. 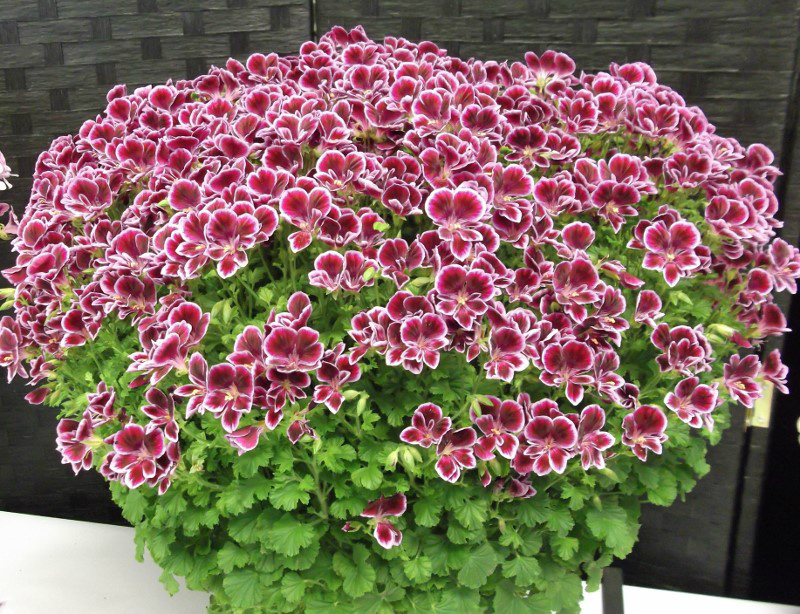 It went to a local Horticultural Show where it got Best Pelargonium Plant. My plant of Penny Dixon which won 'Best in Show', best Regal and 'Best Exhibit' in the Open Classes at the Yorkshire Pelargonium & Geranium Society Show at Hunmanby June 2012. This is the same plant that got 'Best in Show' at PAGS National June 2012, travelled nearly 600 miles in just over a week and with plenty of tlc looked all the better for it unlike me! My plant of angel Berkswell Calypso winning a first at the Yorkshire Pelargonium & Geranium Society Show in 2012. My seedling from Bold Carmine, which I have named Carlton Supreme. 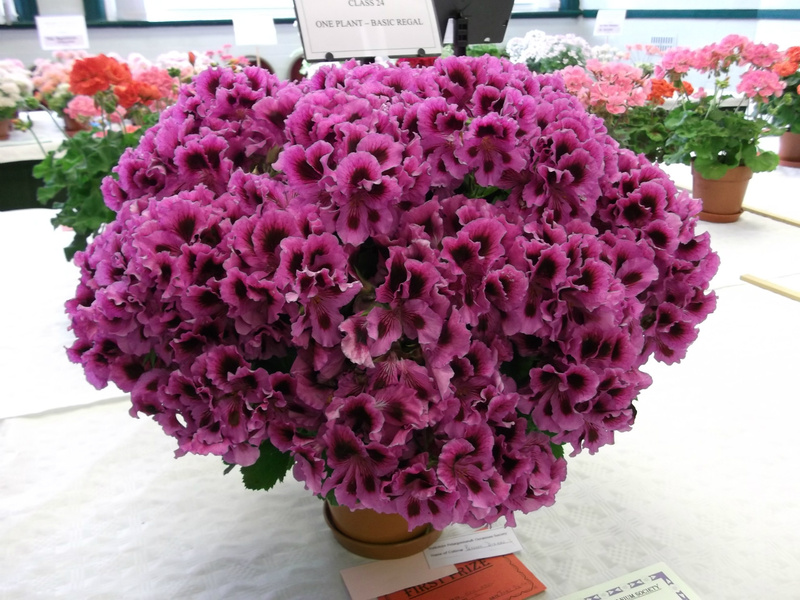 This plant won the Basic Zonal class at the Yorkshire Pelargonium Society Show 2010.